When the class of 1989s Prom was canceled because of a fire, a promise was made that the students would have their prom when the school was rebuilt. Ten years have past and after many strange issues, the class of 1989 finally gets their prom. Come party with this misfit group of students...Well former students now! 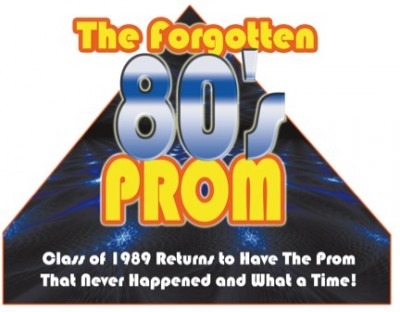 Dress in your best 80's wardrobe as your get to be part of the class of 1989's Forgotten Prom. Interact with the former star quarterback, the nerd, The cheerleader, the bad boy and other "interesting characters". Find the answers to the burning questions. Have people changed? What will be different after ten years? And how did the fire start? Also its 1999 and with the fear of the new millennium (Y2K) is upon them......... anything can happen!